F.Y.I. 's new album, ameriBLACKKK, has been released at the perfect time in the post-Obama era that society finds itself in. It's only natural for us to expect dope visuals since the album cover alone is so powerful and prophetic like songs such as "Blame Me" and "These The Times" draw you in to eat the food for thought that F.Y.I is serving. 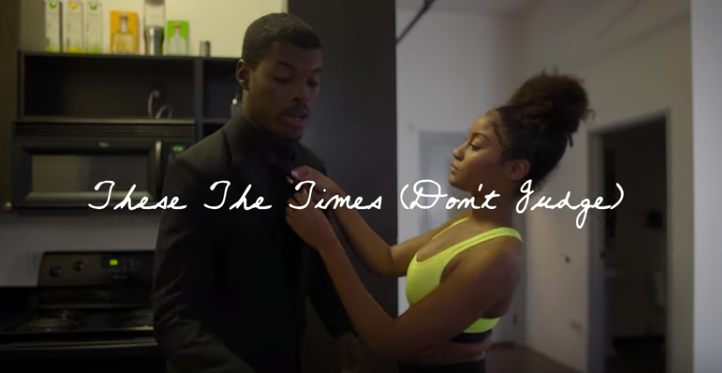 With that being said, the visuals for his single, "These The Times (Don't Judge)" provide viewers a short film experience within the original short film aka the music video. The video paints a telling picture of what lengths people will go to in these times in the never ending pursuit of having thangs and how we never really know what the next person is going through on a daily basis to get it. F.Y.I. - "These The Times (Don't Judge) (Official Music Video)"